This is an amazing event, offered by a gifted healer. I personally have not ever experienced what Victoria offers in this session. Perhaps it is her humility combined with this modality where there is complete coherence between them. Her healing is unique and the experience feels like you have been given great rest. I hope you will experience for yourself. This will, perhaps, be her last time with us for a while, as she is headed to the Peace Corps in January. If you feel you need to feel peace and joy within yourself, you should treat yourself to this event…or give it as a gift to someone you love. A guided sound meditation along with Reiki and visualization. Bathe and balance yourself with the sounds of Tuning Forks, Singing Bowls, and vocal toning, all infused with Reiki. Take a moment to release what no longer serves you, and bring in new fresh energy. Sound de-stresses the mind and body. 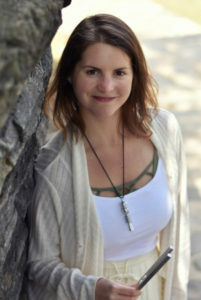 Victoria is a Reiki Master Teacher and Sound Healer from Philadelphia, PA. She loves to travel and bring joy to the world! She is a transformational leader, helping people to heal themselves and heal the Earth. Are you looking for a thorough, in-depth Reiki energy that integrates discussion, self-care, singing bowls and more? She offers a full range of energy healing modalities from basic energy healing to sound healing. She provides Usui and Holy Fire Reiki energy sessions for stress relief, well-being, and spiritual healing. She is also certified in ReikiSound™. She uses tuning forks and singing bowls for vibrational healing from her offices in Philadelphia PA.